Topper in SECONDARY EXAM 2016-17 in school. 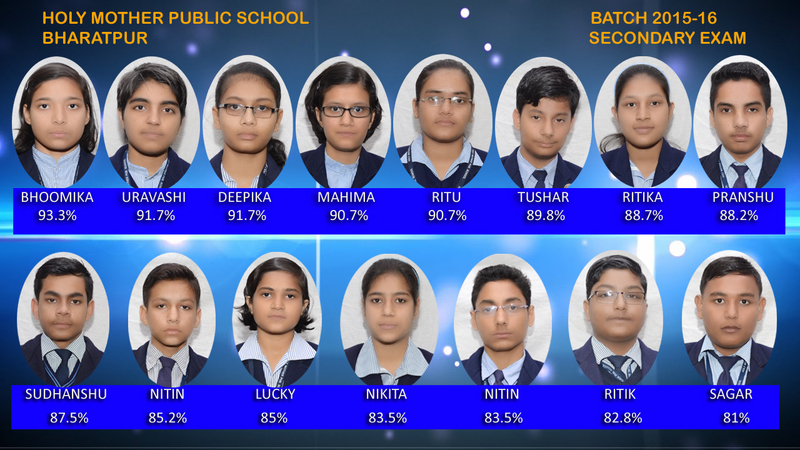 Topper in SECONDARY EXAM 2015-16 in school. Topper in SECONDARY EXAM 2014-15 in school. Topper in SECONDARY EXAM 2013-14 in school. 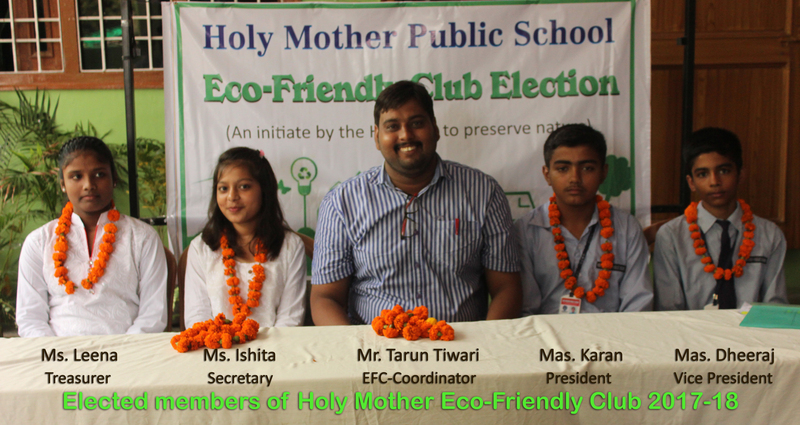 Holy Mother Public School affiliated to Board of Secondary Education Rajasthan (English Medium), was founded in 1995 to give boys and girls a sound education. Since the beginning HMPS offers an exclusive standard of education that aims to develop inquiring, knowledgeable and caring young people who help to create a better and more peaceful world through intercultural understanding and respect. HMPS always considers that formation of character is the first essential of any sound educational system and so, great stress is laid on moral education. At HMPS our first priority is to make sure that every child should feel comfortable with the school environment. We strive to provide a holistic program, where an integrated method and our well trained staff members try to make their learning process easy & enjoyable. HMPS always try to develop zeal amosng the students so that an all round development is ensured, where each child can develop not only intellectually, but also physically, socially, emotionally and spiritually. Every child learns to care and share, works with materials and learns to make observations which enable them to think for not only themselves but for the marginalized sections of the society. Extra curricular activities like Drawing, Debate Competition, Sports, Art, Pottery, Music, Dance and Drama add spice to the fun-filled day at school. There is no doubt in saying that Holy Mother Public School is one of the best English Medium schools in Bharatpur District of Rajasthan.